Hi, I’m a retired executive from Parker Hannifin and Vinni is a retired executive from the public sector (CEO of major public hospitals). 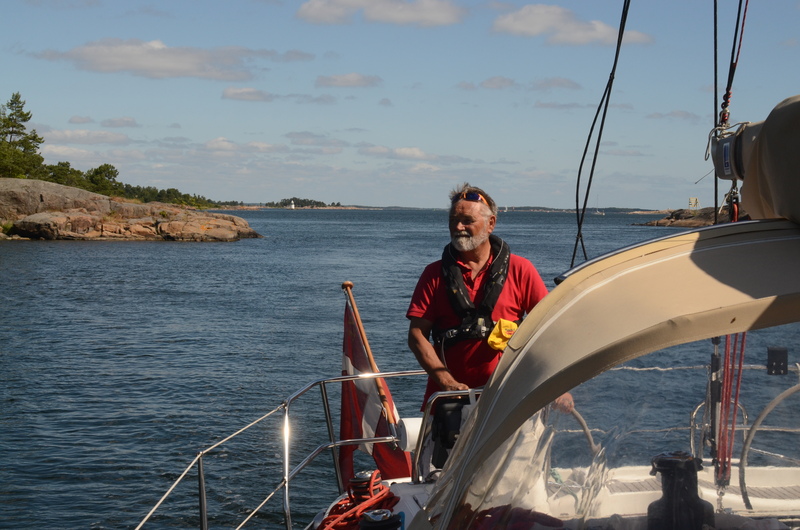 We’re sailing the Baltic at the moment and will be starting a circumnavigation in spring 2016. In May 2016 we sold our house, cars etc etc and set off around the world. It is a great feeling – it is just like being 20 years old again – we own nothing except the boat and we have no responsibilities or obligations except to each other. Since we have sold everything, we have no fixed plans. We expect our circumnavigation to last 7-8 years but if it takes more than that – so be it. Carsten! ( and Vinni) I love your adventures and can’t wait to read the next edition! Safe travels! Hi – I noticed that you signed up for ARC in 2016. Are you looking for a crew for that journey? I’m a Dane living in California (since 2000), I used to sail when I was younger in a OE 32 (my dad’s boat). I’m getting back into sailing, haven’t yet bought a boat but looking and trying to persuade my family at the same time. I’m looking at Jeanneau’s as well…….anyway, let me know if you’re considering crew for ARC and I’ll tell you more about myself. I look forward to your updates. May you have fair winds and following seas.